A child’s self-concept begins to develop at birth. It begins with how adults respond to him. Parents and caregivers create a positive emotional bond with an infant through warm and caring interactions with a lot of eye contact and touch. 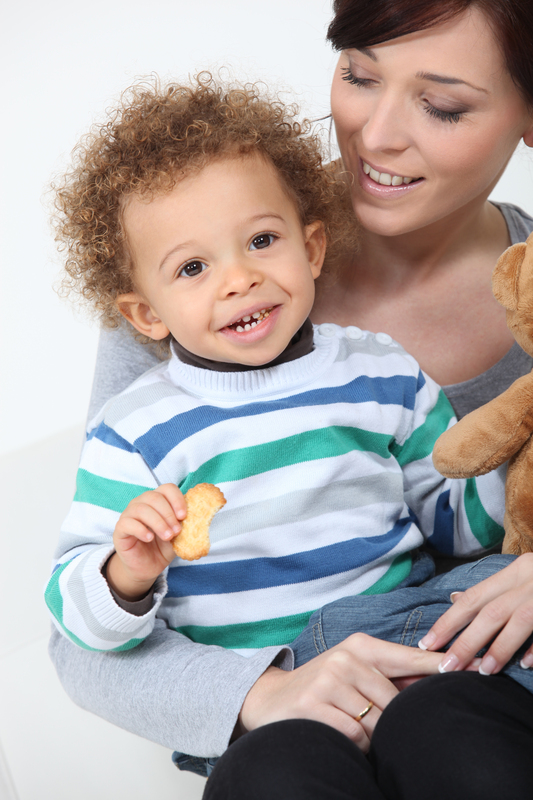 This positive emotional bond with parents and caregivers promotes a child’s healthy self-concept. It is the basis of a relationship in which the child feels the parents’ and caregivers’ love, acceptance, and respect. 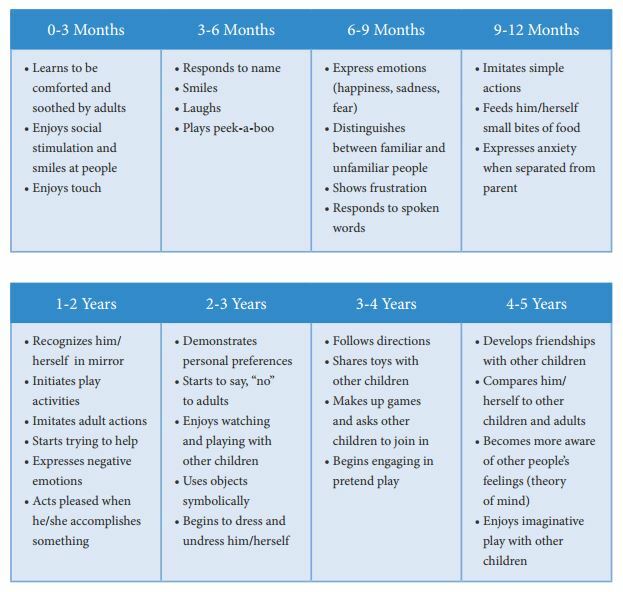 As the child grows into a toddler and preschooler, her ability to interact successfully with his environment promotes a healthy self-concept. A child will continue to develop a healthy self-concept when he is given the opportunity to explore his environment, to ask questions without feeling he is a nuisance, and to engage in make-believe play activities. During this time of exploration, the responsiveness and support of her parents and caregivers will enhance his self-concept. The child’s own responsiveness and support of others will also enhance his self-concept. Through his interactions with others he begins to think of himself as being a good person, a valuable part of a group. Babies need loving and consistent relationships to develop a positive sense of self. Tuning in to babies’ preferences helps them develop a sense of self that is compatible with their innate characteristics. Gentle but firm limits help toddlers feel secure. Two-year-olds’ emerging language propels their sense of self. “Me do” becomes their mantra. Threes and fours have the ability to see themselves as separate and unique individuals. The self-images of young children tend to be descriptive, rather than judgmental. 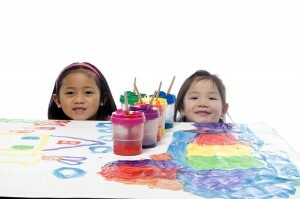 Increasingly independent, preschoolers are intrigued by the new things they can do. Fives and sixes are transitioning from the “me” stage to the “us” stage, becoming aware of the needs and interests of the group. Partners are now able to use words to communicate their needs and feelings. Five- and six-year-olds use the power of the word no to help define themselves within the group setting. For more information download the handout Ages & Stages Developing Self-Concept. This 3-page handout provides information on being sensitive to individual needs to support children’s growing sense of self and was excerpted from wonderful information written by Carla Poole, Susan Miller and Ellen Booth Church. Adults play an important role in the development of a child’s self-concept. It takes very young children a lot of growing up before they are able to picture themselves as separate persons capable of thinking and acting for themselves. During the time that they are “painting” this picture of themselves, the relationships they have with those most important to them, particularly their parents, influence the picture they are developing of themselves. Do they feel loved and wanted? Are they able to count on their parents to meet their needs and take care of them? These are important components of a young child’s self-concept development. 1. Help children to set reasonable goals and evaluate realistically. 2. Encourage children to praise themselves. 3. Adults, praise yourselves. Children learn by imitating adults. 4. Teach children to praise others. P–Praise yourself, and help others to do the same. For more detailed information on how adults can assist children’s development of self-concept, download the handout Encouraging Positive Self-Concept in Children.